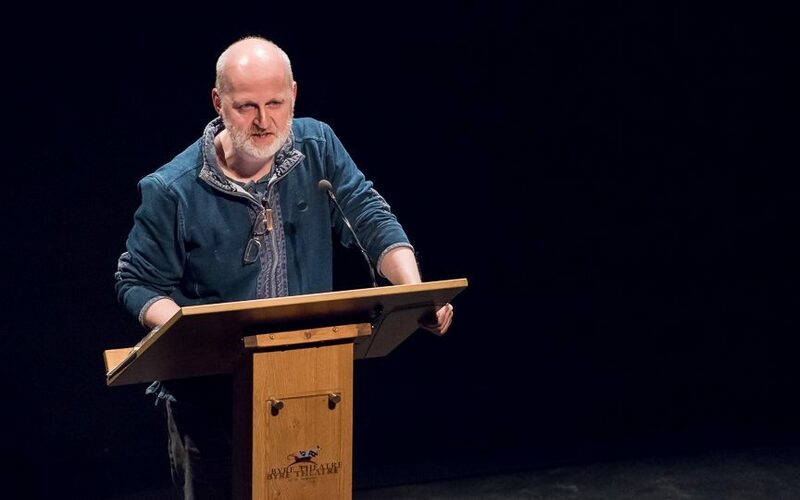 Don Paterson will be among those taking part in the 2018 event. Some of the headliners have been announced for the 2018 StAnza, Scotland’s International Poetry Festival, which will take place in St Andrews. Dozens of poets will be taking part in the event, along with many musicians, visual artists and filmmakers, bringing the historic Fife town alive with poetry, music and art for five days in March. Organisers have confirmed some of the line-up for the 21st anniversary festival to coincide with National Poetry Day on Thursday September 28. Among the headline poets due to appear include Sinéad Morrissey, who last week won the prestigious Forward Prize for Poetry and is a former Belfast Poet Laureate and TS Eliot prize winner. She will be joined by former Scots Makar Liz Lochhead and Scottish poet and jazz musician Don Paterson, who will be in conversation with Marie-Elsa Bragg, daughter of Melvyn Bragg. Also on the programme for 2018 is Gillian Allnutt, who was awarded The Queen’s Gold Medal for Poetry earlier this year; Tara Bergin, winner of the Seamus Heaney First Collection Prize in 2014; and up-and-coming Scottish poet William Letford. Eleanor Livingstone, StAnza festival director, said: “Next year’s festival is a significant milestone for StAnza which held its very first festival twenty years ago in 1998. “We’re delighted to be welcoming some of the biggest names from the literary world and friends of StAnza old and new to St Andrews to celebrate our special anniversary year. “Over the last 20 years we have endeavoured to bring together a diverse mix of well-known talent with new, up and coming poets to create a programme which is fresh and vibrant. The annual StAnza will run from Wednesday March 7 to Sunday March 11. Next year’s themes are The Self and Borderlines. StAnza will also have a focus on young people as part of Scotland’s Year of Young People.